DIWALI is one of the most sacred festivals celebrated by millions of people around the world both young and old. It marks the triumph of good over evil; of light over dark. People celebrate DIWALI just like how Christmas is celebrated in other parts of the world. On DIWALI, it is a time honoured tradition to wear new clothes to symbolize starting anew. Take for example, Mrs Jayammal, a 70 year old widow whose children abandoned her. Mrs Jayammal lives in a mud hut, is blind in one eye, and despite her age, has to work as a day labourer earning 60 rupees (US$0.97 cents /S$1.20) a day just to survive. As work is not regular, Mrs Jayammal barely has enough to money to feed herself, let alone dream of buying a new saree for Diwali. A simple saree costs 300 rupees (US$5) but this is money which Mrs Jayammal does not have. 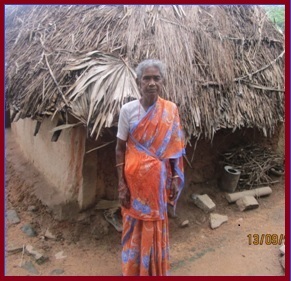 In Tripura Foundation’s initiatives of feeding and educating the poor throughout India each day, they have come across many similar heart-wrenching stories of elderly men and women struggling such as Mrs Jayammal to survive each day. That is why for this DIWALI (2 November 2013), besides all of Tripura Foundation’s 2,900 HoPE Center children, Tripura Foundation wants to give 200 elderly poor people a joyous DIWALI and they are asking for your help to make a difference in these elderly poor and HoPE Center children’s lives. This DIWALI, besides a nice hot meal, Tripura Foundation wants to give the gift of a new set of clothes to 3100 young and old poor people that they serve in and around in their 83 HoPE Centers across India. It doesn’t take much to give a DIWALI gift of love and compassion. Baba founded Tripura Foundation to alleviate poverty across the world. But there is still lots to do. So please help Baba and Tripura Foundation feed and clothe as many elderly poor and children from the HoPE Centers for DIWALI by sponsoring a DIWALI GIFT PACK for just US$10. Your compassionate act will bring happiness and comfort to the lives of two people for DIWALI. In the coming post, I’ll bring you pictures of the elderly poor and HoPE Center children receiving your DIWALI Gift Packs.